INDIANAPOLIS, Ind. 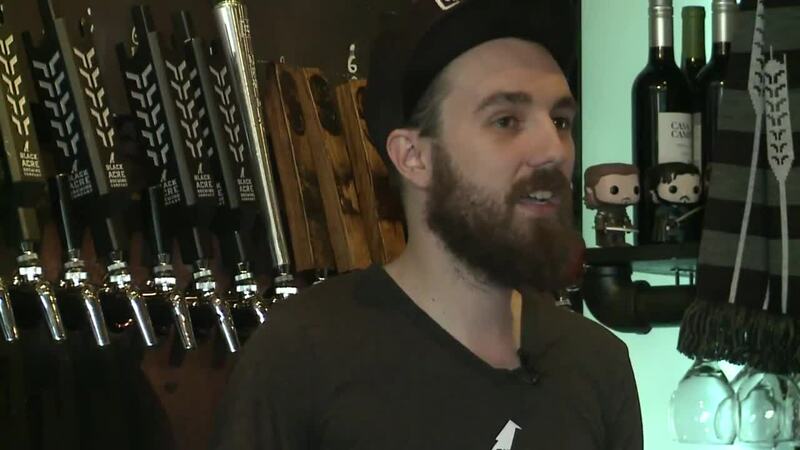 (WXIN) -- The founder of a brewing company in Indianapolis is receiving lots of attention following his response to a customer's sexist comment. Jordan Gleason, founder of Black Acre Brewing Company, posted on his Facebook page about an interaction he had with a 60-year-old man. Gleason says he had to explain to the patron why he was banned from the pub. According to Gleason the man told the waitresses (in different words) that he enjoyed ogling at them while they worked. Gleason said he explained to the man that those comments were not okay to make. The man responded by telling Gleason they shouldn't wear low-cut shirts if they don't want to hear those comments. "But we're men and they're females. Is cleavage just not a thing anymore?" the man asked Gleason. Gleason goes on to broaden the scope and talk about the fact that women working in the industry experience this every day. "Here's the thing though, women in this field get infinitely more disgustingly treated. The sheer number of times they get groped, or harassed, or treated like objects would blow your mind. The worst of it is how normal their harassers think their behavior is. Every single lady in here handles it with grace and aplomb, and I applaud them for it. I've had their backs as we've bounced people out for that trash, but countless times they just deal with it before it even gets to me," wrote Gleason. Gleason's post has been shared over 6,000 times, and the comments on the post have been predominantly positive. Many people are even thanking Gleason for his post. You can read Gleason's full Facebook post below. Warning: It contains some profanity.